Hello sweet peeps! Is it Friday already?! Whew, it's been a busy week. I hope this weekend brings a little time to unwind. We'll be hitting the soccer fields again and probably eating some green cookies and Irish Soda Bread. What's on your agenda? so golden and warm, it is just beautiful! Now I just need more time to shoot. My Little Man is becoming quite the musician and really wants the wardrobe to match. I love him in his new hat, which he wears nearly every day. Lots of fun with Little Miss this week, escaping to the deck in the early morning, sporting her chucks, jumping outside, playing piano and snuggling with Dad. I'm hoping to eat some Irish bread on the Shores of England! Love your shots and thanks so much for hosting! Smells like Spring. :) Another lovely week, Melissa! Another great one! The front door shot cracks me up:) Have a great weekend. I'm really excited for spring as well! I love this collection of yours. Love the hat on your little guy, love the wind blown hair on Little Miss. These are all so happy! You do such a great job capturing your week in photos!!! I just love her curls blowing in the wind. Great week!!! Thank you for sharing your sweet moment. Love all your flower shots and can't wait for blossoms here! This week I'll be doing the t-ball thing for the first time and then off to Dallas for Blissdom. Should be a busy week. it looks like a great week for you all down there! loving all the spring blooms! keep 'em coming ... looks like another week of winter here in the 30-40s. and unfortunately, it's snowing, again, and the grass is covered. hahaha i'm just going to laugh and believe spring has got to be coming soon, right? 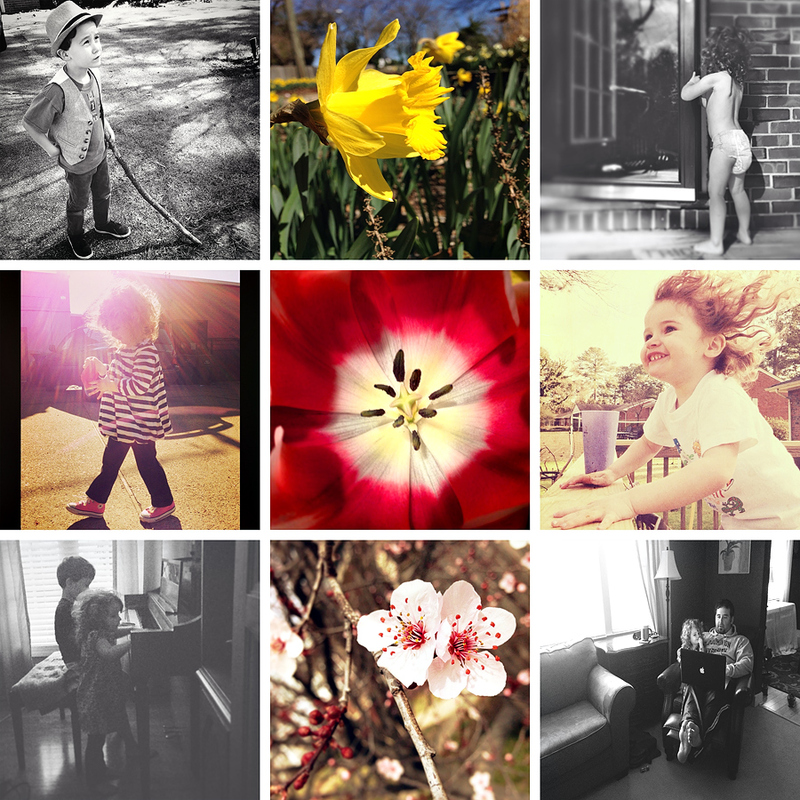 ps - i love all your weekly photos of your sweet family! I always look forward to seeing your shots especially when the subjects are those kids.